Join our Outrageous October Bike Challenge! 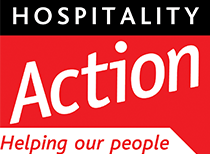 Want to help us raise £1000 for Hospitality Action? Come and take part in our high-energy static bike challenge! In October, we joined forces with our Chefs and set ourselves a range of challenges to raise money for Hospitality Action. With just over one week left to raise as much money as possible, we want you to come and get involved in our Leeds to Liverpool bike challenge! There is no limit to how long you cycle, you can come along and cycle for 5 minutes or 30 – it’s completely up to you! All you need to do is register your interest below and we will contact you too book a slot on a date that suits you. All we ask is that you give a donation on the day or get sponsors from your family and friends to help us reach our target! If you can’t make it but want to donate, please visit our JustGiving page. Even if it’s £1, any help would be appreciated to raise money for such an important and worthwhile cause!